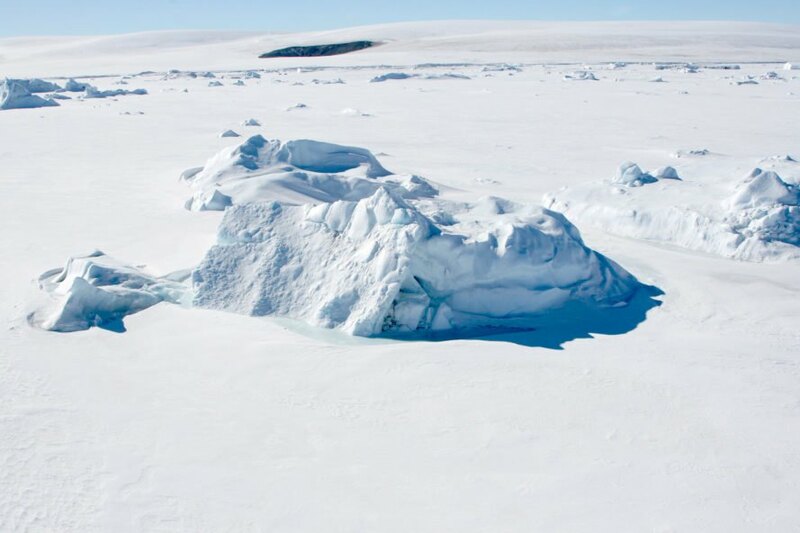 Researchers have discovered three large canyons frozen beneath the ice of Antarctica, each of which is hundreds of kilometers in length. The canyons, which move through tall mountains that lie beneath the snowy surface of the southernmost continent, were discovered through radar and may serve a key function in Antarctic ice flow. The three canyons are the Patuxent Trough, the Offset Rift Basin and the Foundation Trough, the largest of the three, which is more than 350 kilometers long and 35 kilometers wide. The bottom of the Foundation Trough is buried beneath two kilometers of ice. All three canyons are located beneath and across the high ice ridge known as the ice divide that runs from the South Pole toward West Australia. This divide is similar to other continental divides, such as those found in North America, in which water, or ice, flows toward different bodies of water based on which side of the divide it falls. Researchers recently uncovered giant canyons below Antarctica's icy surface. These canyons could play a key role in Antarctic ice flow. The canyons pass through tall mountains that are buried underneath ice.